As I continue to lament that fact that the cruise ships are gone and summer is behind us (and a beautiful summer it was), like everyone, I face reality that time marches on. Nevertheless, this is a great time of year, too — the football season is in full swing (even though the Steelers aren’t looking too good), children are well into the routine of school and you cannot help but notice that an increasing number of houses have their Halloween decorations in place. The stores remind us that the day is fast approaching when visitors in various costumes will come to our door equipped with a bag in their hands and a greeting on their lips — “Trick or Treat”. This longstanding tradition of Halloween has enchanted children for generations. It offers an opportunity for kids to exercise their imaginations and creative abilities. While some parents view this day as a wonderful chance to see the neighbors and share in the excitement of these young people, other parents have expressed some concern regarding the overtures that point to the themes that are ghoulish — death, evil and things that are frightening. But Halloween’s dominant theme of witches, ghouls and vampires has not always been the case for October 31. In generations past this day was used as a festival precursor to All Saints Day on November 1. Halloween, which means “All Hallows Eve”, was an opportunity to celebrate the lives of the saints and those who dedicated their lives in proclaiming victory over death, evil and things that are frightening. Halloween is about saints! What is a saint? A saint is a person who participates and shares in the eternal life of God after death. Saints communicate to us not death but victory over death, a type of victory that leads to the fullness of life rather than its bitter end. Saints communicate to us that death has no hold over us, that the way of the Cross is actually the way of life. Thus Halloween was not a morbid or creepy focus on fear and death but instead a memorial of hope, hope that leads to prayer for the dead. This was all done by remembering the saints and telling their stories. Children even dressed up as saints so as to more fully enter the story. This annual celebration was a time to rejoice in the life of great saints, the men and women who walked this earth and gave their lives for their love of God and neighbor. Their testimonies of love and sacrifice show us the way to God, despite the encroaching darkness and the inevitability of death. Remembering them brings us closer to God and inspires us, we remember them and we know that they are our family, that we are united to them in the Lord, and that they are with us in this journey. We derive courage and strength from their inspiration. 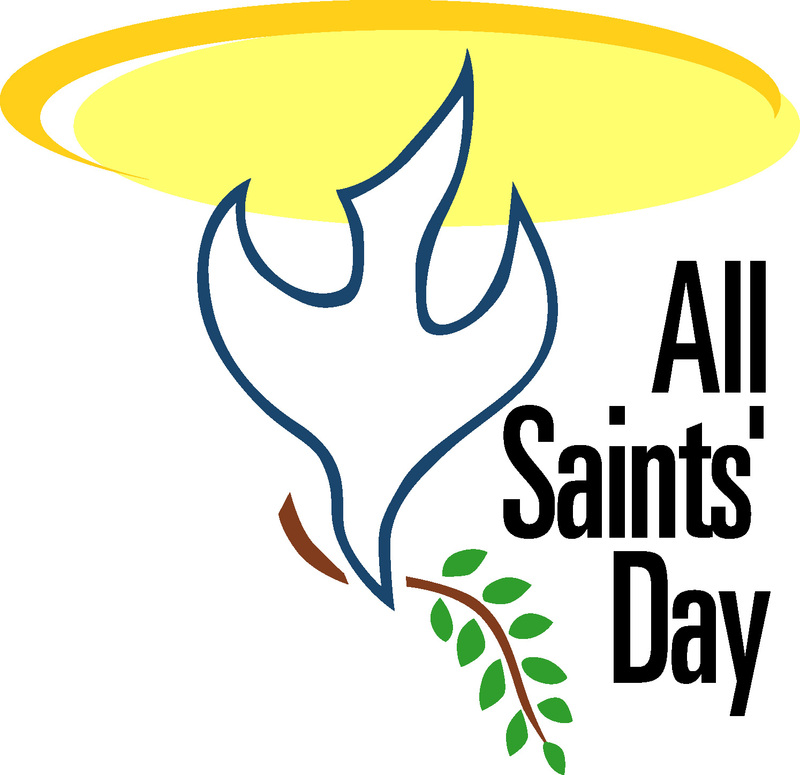 In the Catholic tradition, on the day following All Saints, we commemorate a day for All Souls (November 2). It is then that we remember all those who have gone before us in death. 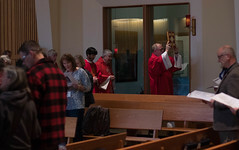 For the last number of years we have had a special Mass at the chapel of the Shrine of St. Therese with a special remembrance of those parishioners who have died within the last year. Led on by this renewal of faith and hope we remember our beloved dead, and this is the point of All Souls Day. As we commemorate All Saints Day and All Souls Day we remember both the members of the family of believers and then the members of the family of man — people we have known and loved. 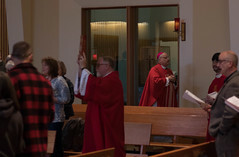 Such remembrances serve as an opportunity to renew the process of entrusting our departed to our Creator, through faith, and we gain peace and consolation through this process of entrusting them. It heals us and we believe it heals them. Through it all, we see that our times and our customs have changed — our celebrations are different now. But with the passing of all things in time and the shifting of our culture, we benefit from reminding ourselves why we do the things we do. Which also reminds me, I was in a store the other day and I was surprised to see that they had their Christmas trees up. Another example of time swiftly passing by and that we benefit from knowing the foundation of what we celebrate.